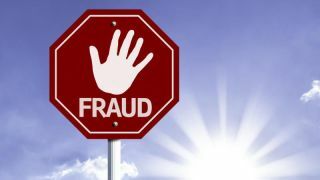 If fraud strikes, a number of organisations will have Victims of Fraud teams that are ready to help. Man, woman, rich, poor - anyone can fall victim to identity theft. No matter how carefully you look after your personal details, you can never completely rule out the risk of someone stealing it. If fraud strikes, a number of organisations will have Victims of Fraud teams that are ready to help. Fiona Price from Experian’s Victims of Fraud (VOF) team outlines how people are susceptible to fraud, offers advice on what they can do to prevent it, and advises how people can reclaim their stolen identities. What does your team do? In a nutshell, we help people reclaim their stolen identities. It’s no secret that identity fraud is on the rise, so our team is able to give expert advice to help put the situation right. Since this team was formed in 2002, our purpose has never changed – there are just more people than ever before that need our support. What does a typical day look like working in your team? The VOF team is made up of 24 Fraud Resolution Specialists, who are all trained to understand how fraudsters work and the problems caused by someone using your details. We tend to work on a case-by-case basis, as although every person that contacts us has been affected by fraud, every query needs to be dealt with slightly differently. As you can imagine, some of the queries we receive can be quite sensitive so we need to make sure we deal with these in the right way. Is there a common reason to why people become victims of fraud? It’s difficult to say as fraudsters can get hold of your personal details from a number of different sources, including stealing mail or computer hacking. However, we have noticed an increase in people’s details obtained from their social media accounts being used for fraudulent purposes. What would you advise someone on social media to protect themselves? Try to avoid putting your e-mail address, date of birth, contact numbers and your pet’s or any family member’s name on your social networking pages. If fraudsters get enough of this information it can allow them to set up a new credit account or take a guess at any of your passwords. Limit access to your page to the one’s closest to you. Don’t put up anything you really want to keep private and consider restricting who can post messages about you — your friends might inadvertently post something that might be useful to a criminal. On average, how long does it take to help someone effected by fraud? First and foremost, we want to make sure that victims of fraud are protected as soon as possible. That’s our main priority. After that it will ultimately depend on how complex the case is. We’ve had instances where investigations have been open for months. On average it takes around 29 days to resolve a fraudulent issue. How many people have you helped this year? We’re proud that we have been able to make a difference to over 11,000 people’s lives over the last year. It’s even more rewarding when we hear how our actions have helped them achieve their financial goals. Should people be worried about losing their identity? People should be careful, not worried about being a victim of fraud. Could people do more to protect their identity? Of course, but you can never rule out being a victim of fraud. Interestingly, it takes an average of 292 days for people to discover their information has been used for fraudulent purposes – people just need to be more alert to the fact it could happen to them. Online passwords: While it may be easier – and a lot less time consuming – if you use the same password for all online accounts, there’s nothing more attractive for ID thieves. We wouldn’t use one key for all the doors in our home, so why would we use one password? It is crucial to have unique, secure passwords for each online account. Consider the strength of your passwords; always use a combination of upper and lower case letters, numbers and symbols. Don’t use the names of your partner, children, pets, friends or football team – a recent straw poll told us that 50 per cent of people use these easily guessable passwords. Keep up to date: Installing the latest antivirus on all devices that are connected to the internet will help to protect from spyware and malware. Updating apps as and when new versions are released will ensure access to the latest features, but will also improve app security and stability. Be social savvy: As open as people may like to be on their social profiles, they must remember that often the information shared is in the public domain and could be easily traceable. Be cautious about the information you post such as: your email address, date of birth and family pet names – especially if they may be used as passwords Think twice before adding someone you don’t know to your social networks. Passcode protect: A lot of personal information is stored on devices that are not password protected. That’s emails, apps, messages – a vast amount of information that could be a goldmine for fraudsters if the device is lost or stolen. Always lock your mobile device with either a passcode or a gesture lock to prevent access to such information, should the worse happen. Be credit wise: Should your personal information fall into the wrong hands, it’s good to know where those details go. Checking your credit report regularly can help to spot if credit has been applied for under false pretences. Web monitoring tools available through services like Experian CreditExpert are also useful as they scour the web for stolen details – sending people an instant notification if their information appears somewhere new online.